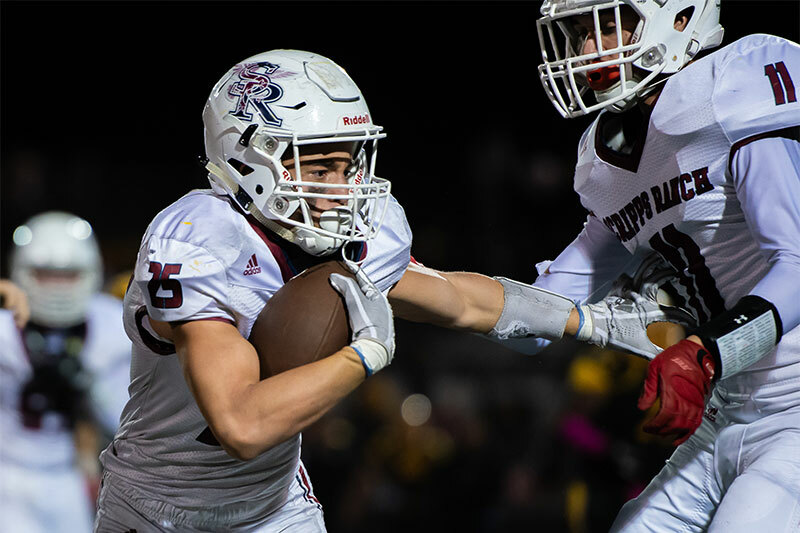 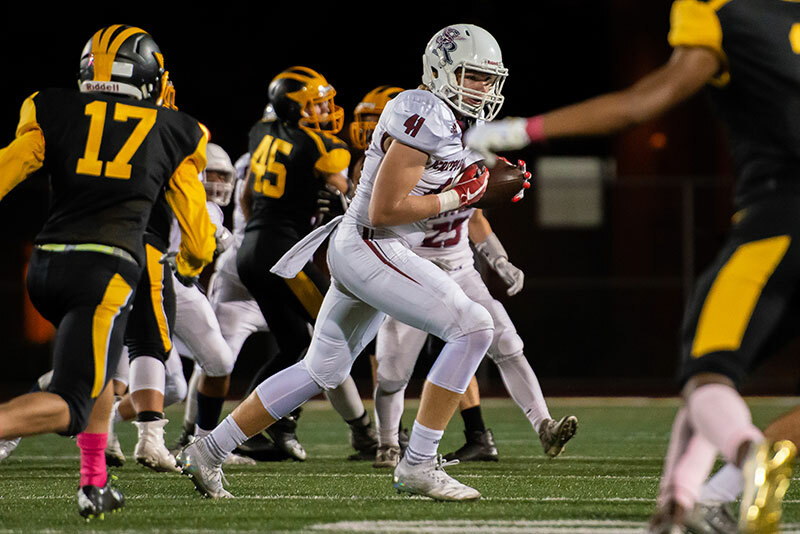 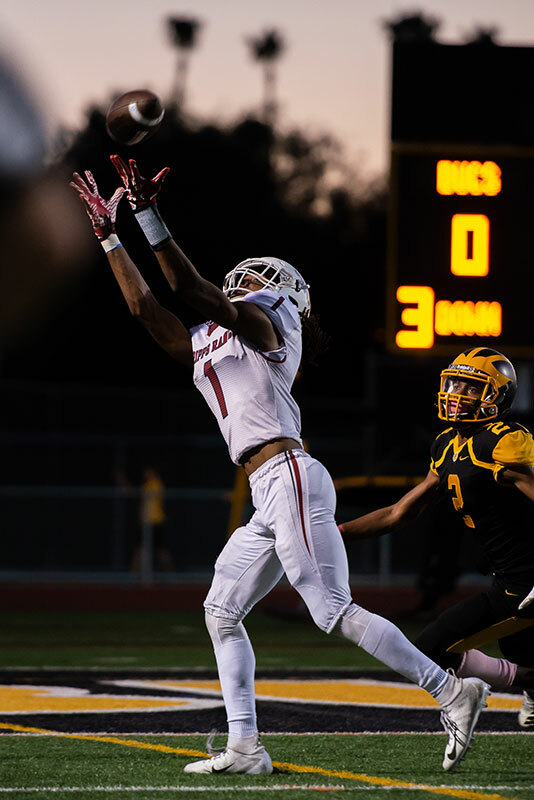 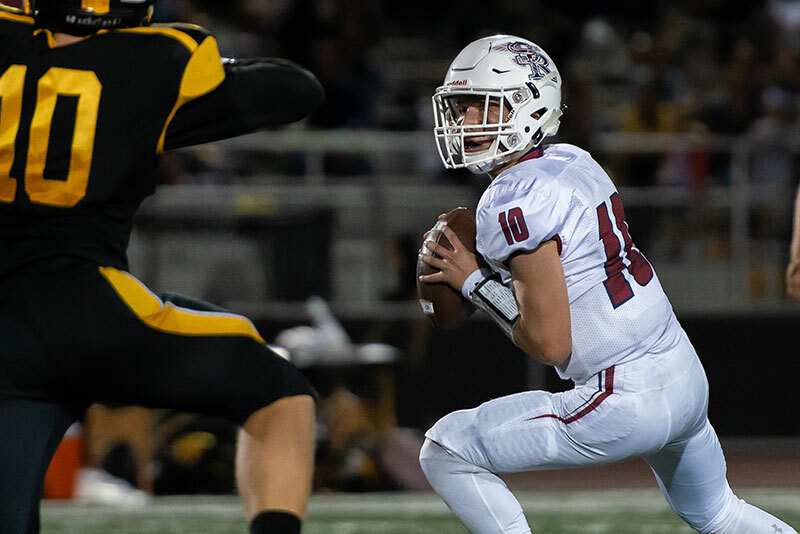 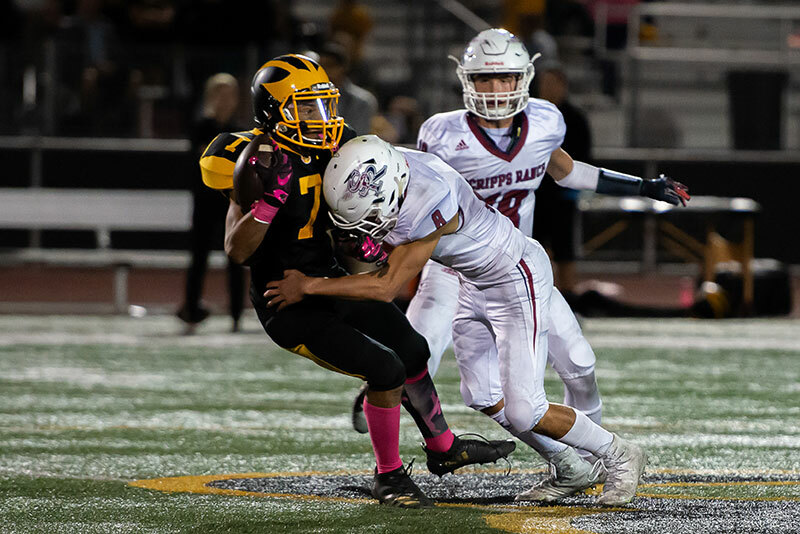 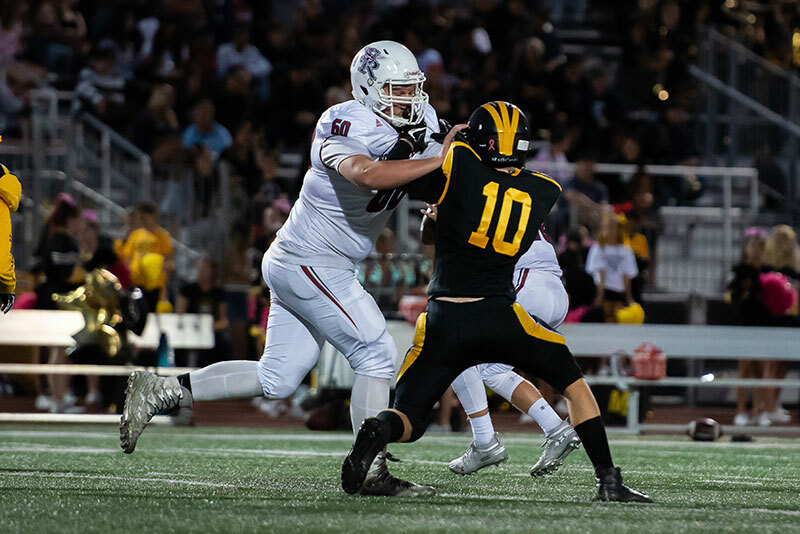 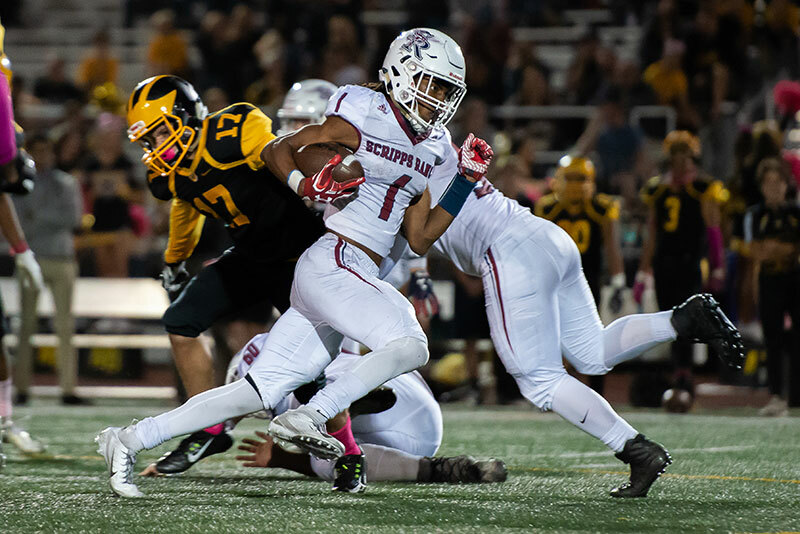 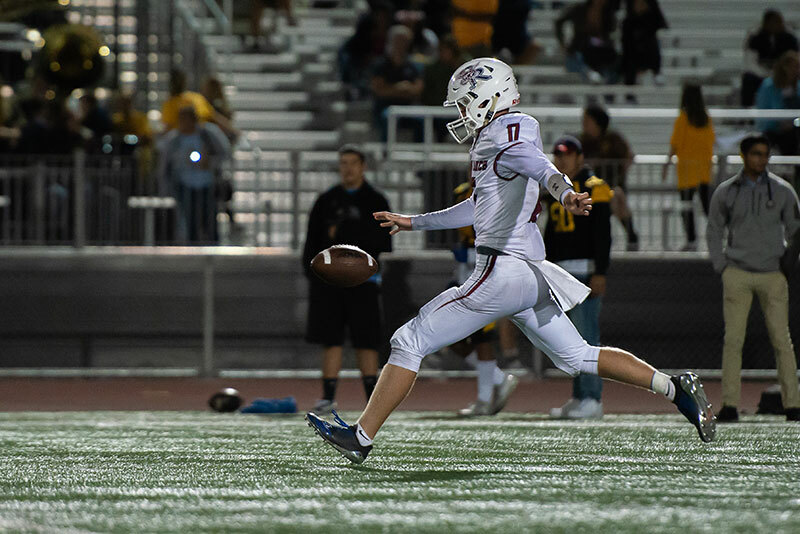 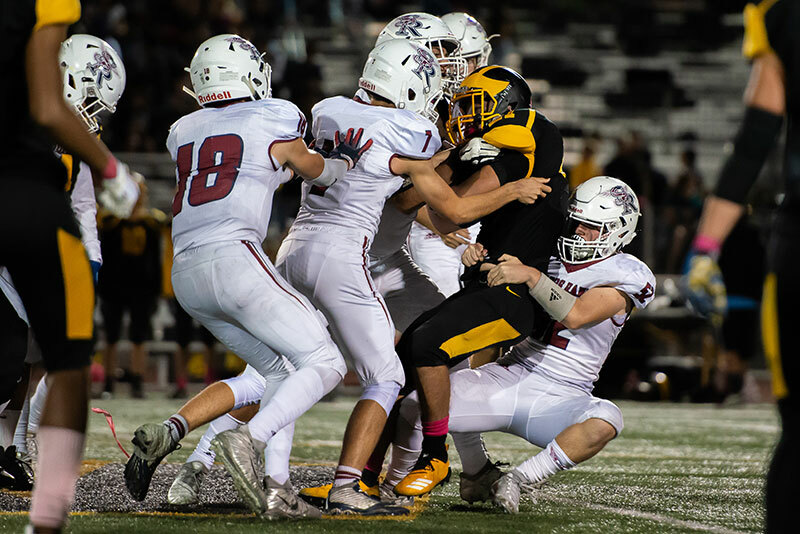 The Scripps Ranch High School varsity football team will try to add one more regular season victory to its very respectable 6-3 record Friday night when it hosts Kearny High School in the final contest of the regular season. 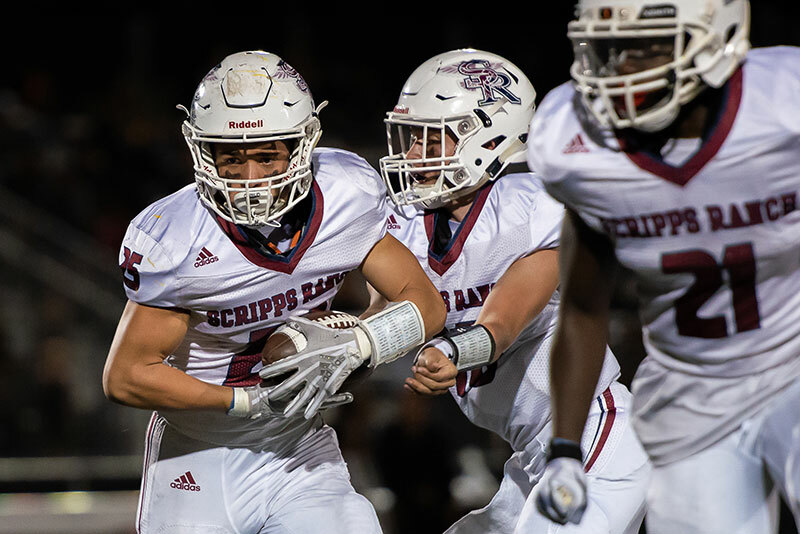 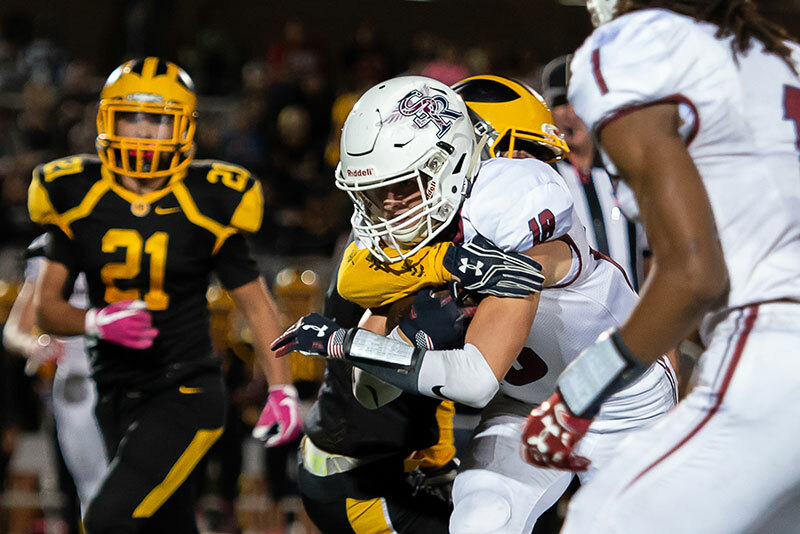 The game is scheduled to start at 6:30 p.m. on Oct. 26 at Scripps Ranch High School. 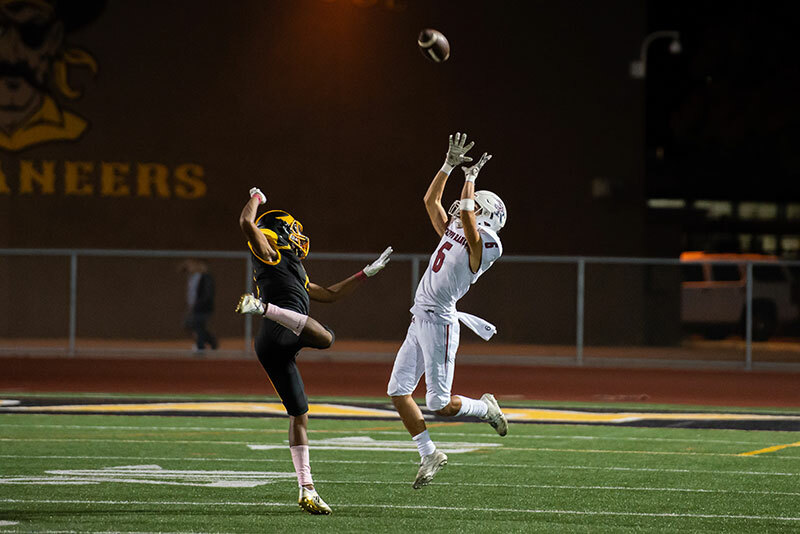 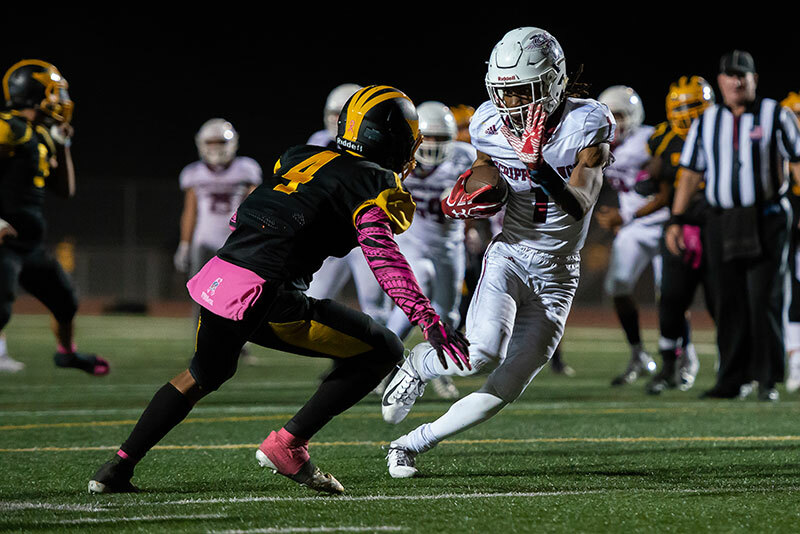 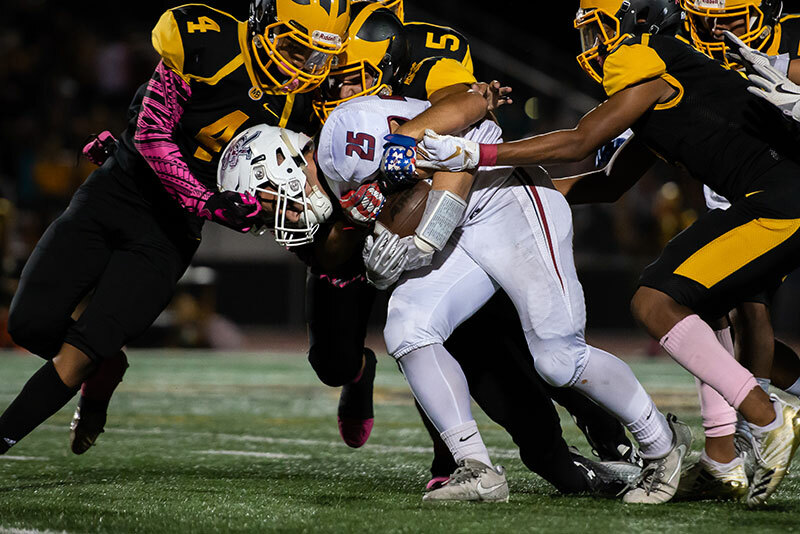 Last week, the Falcons varsity team traveled to Mission Bay High School to defeat the Buccaneers 36-26. 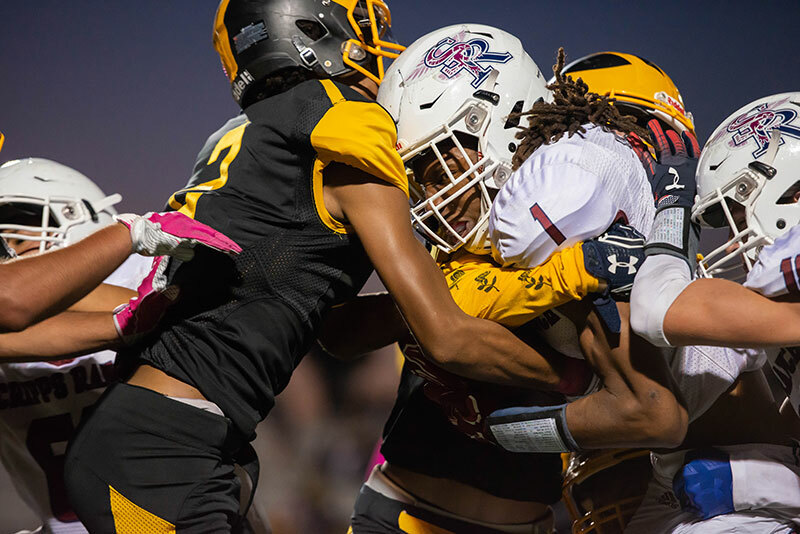 The game was very physical with several official time outs for injuries on the Mission Bay side. 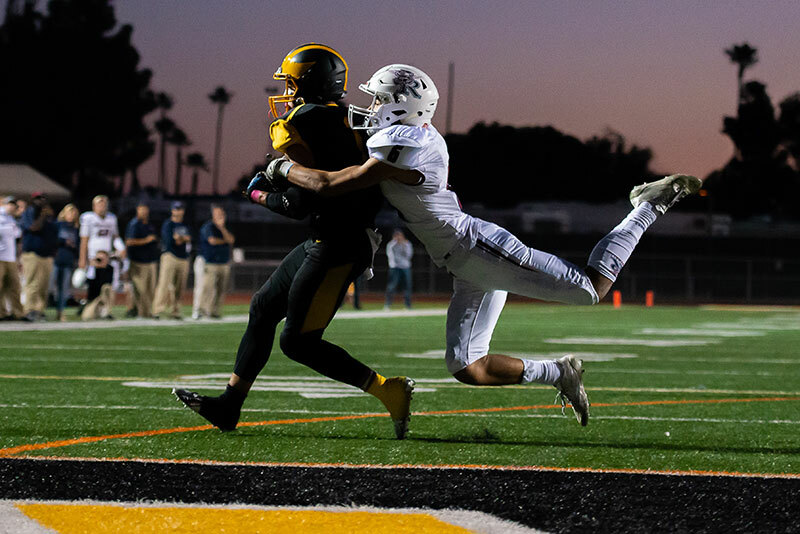 Mission Bay played a good game against Scripps Ranch, staying in the fray until the fourth quarter. 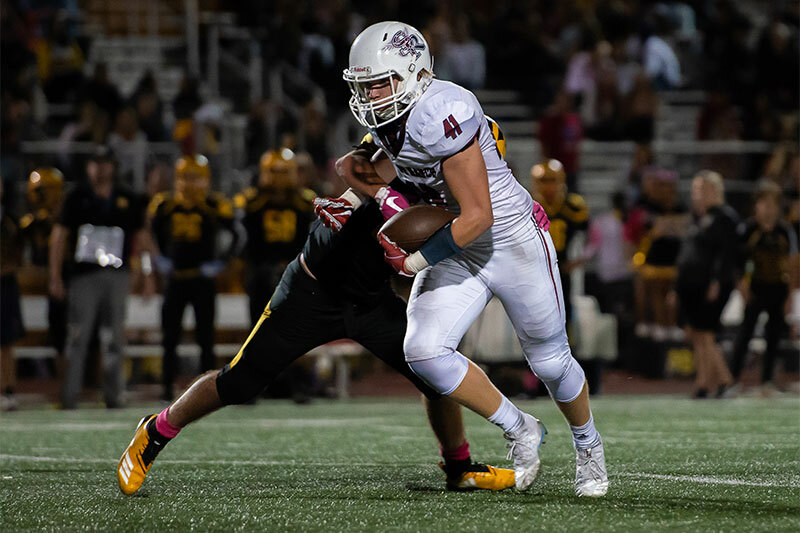 Earlier, the Scripps Ranch High JV team defeated the Mission Bay High JVs 21-7. 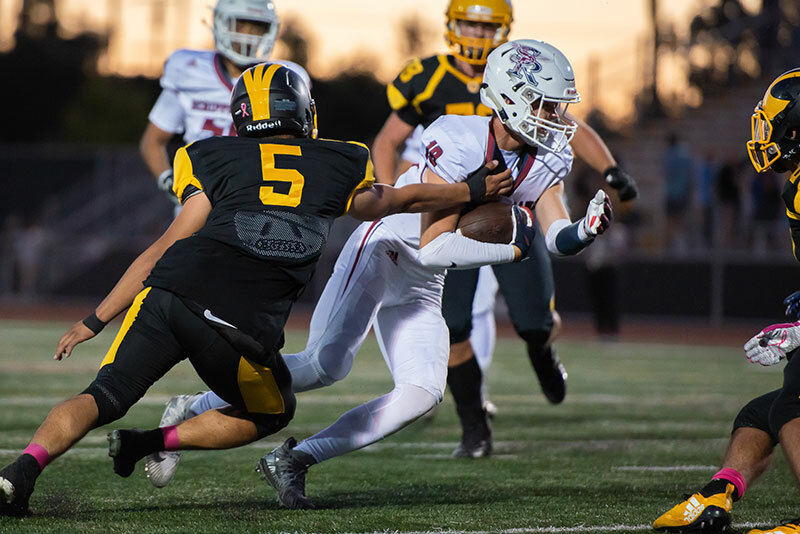 The photos on this page show the Falcons varsity team in action against Mission Bay.